We are excited to announce American Football Canterbury (AFC) jerseys are available to purchase. The exact same as the ones the Regional team wear, support your team by wearing their colours. Made of Exotek Polyester and open star mesh. With elastic cap sleeves to cover pads, and strategically placed mesh panels to ensure heat distribution and ventilation. Show your support and get your own name and number on your jersey. Outlined what colour jersey, size, number and name on the back to also be included. Available in home, away, and alternative colours. 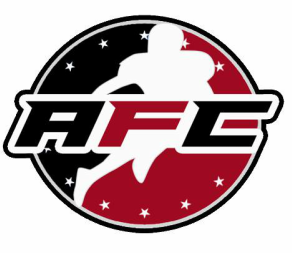 If shipping is required, please contact AFC through Facebook page or Email americanfootballcanterbury@gmail.com to arrange for postage and shipping. As minimum order is 10 jerseys per colour. As every effort will be made we cannot guarantee orders will be filled after the first initial order. So, get your order in fast. Questions or queries please email through to AFC through Facebook page or Email americanfootballcanterbury@gmail.com. NOTE: Due to restrictions on this website, We will ask for numbers, and the finer details, in the follow up emails.